Ursula Jones takes classes at TCC and earns while she learns at Peregrine Technical Solutions LLC. You’ve heard our expression from here, go anywhere? 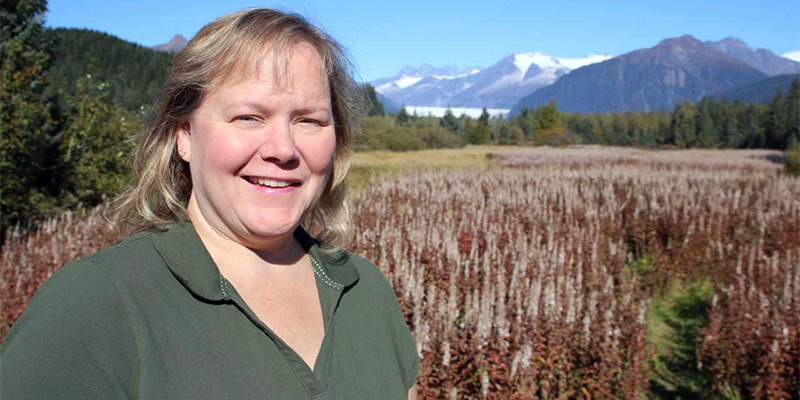 Ursula Jones is anywhere – i.e., Juneau, Alaska, to be exact. She’s also a Tidewater Community College student who is the first cyber security apprentice in the state of Virginia. Apprenticeship, an “earn-while-you-learn” approach to education, isn’t just ideal for candidates straight out of high school or in their 20s. After 23 years in federal service, Jones decided she needed a more stimulating job, but she wasn’t excited about racking up student loan debt. Apprenticeship made the most sense. As an apprentice, she doesn’t need to worry about debt; in fact, she earns a salary and benefits. Plus, the company foots the bill for her to complete classes online for TCC’s Career Studies Certificate in Cyber Security. TCC is a National Security Agency Center of Academic Excellence, as designated by the National Security Agency and the Department of Homeland Security. The designation recognizes the college as a national model in cyber security. Students who earn the cyber security certificate can apply their credits toward an Associate of Applied Science in Information Technology. Partnering with the college to create a cyber apprenticeship is an investment in his own workforce, said Peregrine President, Leigh Armistead. Cyber security is a booming field with a global shortage of two million cyber security professionals predicted for 2019, according to ISACA, a nonprofit information security advocacy group. Before Jones completes the apprenticeship, ideally in May, she will have completed multiple information technology certifications – each of which will advance her in pay scale. “No matter what lies ahead, I couldn’t have felt better about my decision to leave federal service and work for Peregrine,” she said. Contact TCC’s Karen Miller to explore apprenticeship opportunities at kmiller@tcc.edu.